Such wonderful news! We must be off to see the wizard, the wonderful wizard of OZ! The breaking news that CML is “Cured” can be likened to the wizard, in the “Wizard of Oz.” After traveling many miles down the yellow brick road, through many trials and tribulations, Dorothy finally arrives in Oz; and what does she discover? 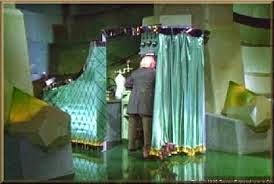 She discovers that the “Great and Powerful OZ” is nothing more than a broken down old man, hiding behind a huge façade. For those of us living with CML, the word “cure” (restoring one to good health) would mean that our cancer was eradicated; we would be able to live our life, without a daily dose of medication. It would mean that we would not have to endure the continual and often debilitating side effects that are a part of our everyday life and it would mean that we would no longer have to have our chronic cancer monitored, every three months. Yes, every three months we go through a two to three week “waiting period,” wondering whether our miracle drug is still working; or not. How would you like to be checked every three months to see whether your cancer is being held at bay, or if it is once again taking over your bloodstream? Fact of the matter is that these drugs have only been treating CML for the past fifteen, or so years; we do not even know how long they will continue to work or what other damage they may be doing, to the rest of our body. The word chronic means constant; habitual; continuing a long time or recurring frequently; and having long duration: nowhere in this word, do I see an opening for the word cured; I wonder if a cure is ever really found, that they would have to rename CML; because if we were ever “cured,” the diagnosis of chronic myelogenous leukemia, would no longer fit the bill. In my opinion, any time someone is undergoing continual treatment to manage their disease, be it cancer, diabetes, asthma, Parkinson’s or others, they are undergoing treatment, living with, not cured of their ailment. I find the statement to be insensitive and misleading and it concerns the heck out of me; if we are already being considered “cured” is this the end of our road? 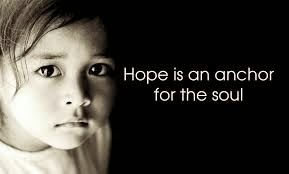 Is the hope of a “real” cure no longer on our horizon? Must we continue to limp through life, often in so much pain that we cannot function normally, with the dark CML cloud floating above our head, waiting for it to unleash the storm? Must we accept the fact that this is all that there is and give up the hope that we may someday be able to say, “I am a survivor! 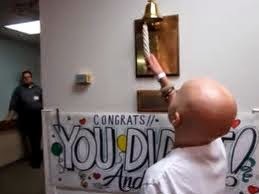 I beat CML, I am CURED!” AND “I no longer am in treatment; I got to ring the bell!” I want to ring the bell; I want to put a lid on it! I want to be cured, I want to be done and I don’t want to be angry at those that really are trying, to make a difference. I believe that OHSU Knight Cancer Institute means well but needs to change their campaign. I suppose that in some weird way, that even negative attention, if it raises money for cancer research, is better than no attention at all. I am having a difficult time wrapping my head around this whole idea and campaign, and my mind is flying in so many different directions that I am certain that you will hear more from me, on this subject. Until then, try and remember that the yellow brick road really is a journey; a journey that is fueled by hope; something that all of us living with CML have; we have HOPE! Do not allow this campaign to steal it from us! Hi, As far as a cure for CLM it will come. This disease has been scrutinized to the point of all of these TKI drugs. True it may not be a cure for everyone but it has cured many that were taking it. I had CML more then 25 years ago and there was none of these TKI's available at the time so I had no other choice of getting a bone marrow transplant. Did it cure me? Well yes and no. It did cure me of having CML but all of the radiation and chemotherapy eventually destroyed my kidneys and I am now on dialysis until a kidney can be found for me. Now does that cure me? Well, to be honest, no. No because after having a kidnet transplant I will have to deal with immunosupression, and that in itself can set me up with more problems. I would like to ask a question. Are we ever cured of anything that we may go through in this life? All that we can ever do is to try and live our lives as best as we can. This is why I always end any of my posts with two numbers. 1 and 8. as 18's because they are a symbol for life. Bone marrow transplant, May 21st 1989. By the way my actual birth date is May 21st 1944. So, I celabrate both of my birthdays at once.